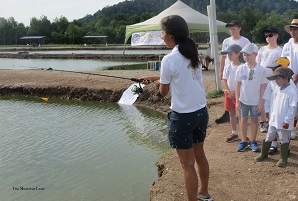 The International Game Fish Association (IGFA) and its partners in youth angling education have been busy educating the next generation of ethical anglers about the basics of fishing including: knot tying, tackle, fish identification, baiting, proper handling techniques, and casting as well as the importance of game fish conservation and environmental stewardship. 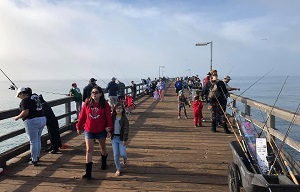 In California, two events reached close to 100 children thanks to Reel Guppy Outdoors with their Spook-Takular Kids Fishing Day at the Port Hueneme Fishing Pier on October 28, 2018 and to IGFA Representative Sally Kurz with their fourth and final youth education fishing trip of 2018 in Southern California aboard the Western Pride on November 4, 2018. In Florida, IGFA education staff traveled to two different locations with their Passports to Fishing kit in tow. In Madeira Beach on November 9, 2018 during the Kids Fishing Slam at the King of the Beach Fishing Tournament hosted by Old Salt Fishing Foundation, IGFA staff educated young anglers before and after their fishing sessions. Staff then traveled to Lake Wales for a day of family fun at Camp Mack, a Guy Harvey Lodge, Marina & RV Resort on November 10, 2018 in partnership with the Guy Harvey Outpost Academy. 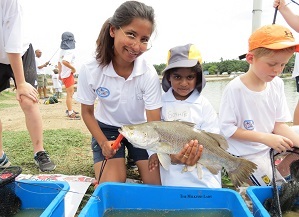 Also on November 10, 2018, the first IGFA youth angling event in Asia working toward IGFA’s 80th anniversary initiative to teach 100,000 kids to fish around the world was hosted by The Milkfish Lady in Jugra, Selangor, Malaysia with thirteen new anglers. 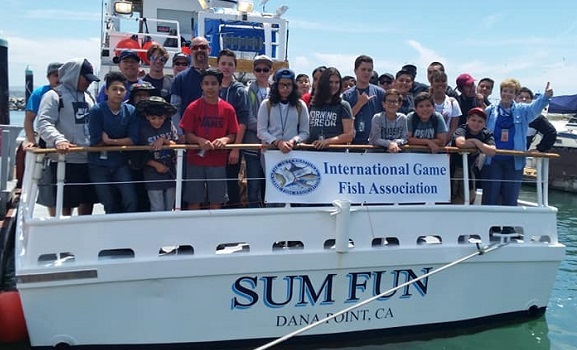 This is the third continent working to help the IGFA reach its goal with youth angling events occurring in North America, Europe, and now Asia. Thank you to all who are working diligently to educate the next generation of educated, ethical, and accomplished anglers, and we look forward to future possibilities and partnerships.